Over the years one thing stands head shoulders above the "Technical know-How" of coaching, that being how you Communicate, Motivate and Support your athletes, too often in virtual coaching the main communication is via training apps. We at VTConline pride ourselves on going that extra mile or two... Whether it be communicating Face to Face, Video Conferencing or Telecom our focus is Quality and NOT Quantity! I have been an athlete since I can remember... I am passionate about all forms of cycling. 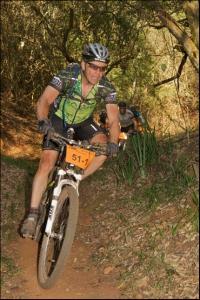 I am currently South African Grand Masters MTB XCM Champion. I focus mainly on Road and MTB disciplines. I have completed over 50 MTB/Road stage races including the Cape Epic in 2007,8 & 9 and many One day Road and MTB Classics, achieving many Category Podium finishes. Since 9/2018 I have retired from Corporate and have now increased my focus on Coaching, I limit the amount of athletes I coach to ensure quality. VTC have helped National Champions as well as Event orientated PB athletes. If you are an athlete who is passionate and committed about achieving your goals we'd love to assist. Success. Coach Kevin Record has been notified of your message.